Actor Donal Logue speaks onstage at the "Gotham" panel during the FOX Network portion of the 2014 Summer Television Critics Association at The Beverly Hilton Hotel on July 20, 2014 in Beverly Hills, California. 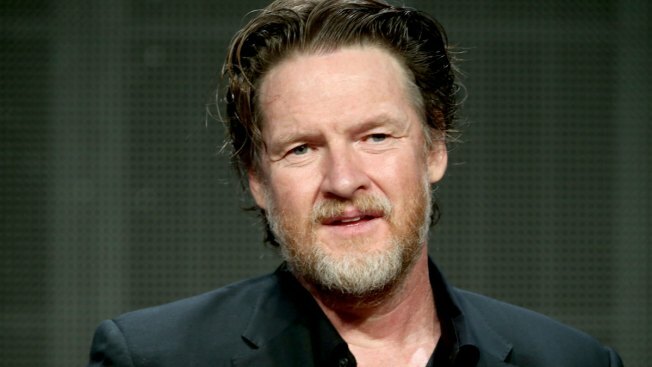 Donal Logue's teen daughter Jade Logue, who went missing almost two weeks ago in Brooklyn, New York, is safe and finally at home. The Gotham actor's rep told E! News, "Jade is now safely back home with her family" on Saturday. "Donal is incredibly thankful for everyone's support, and especially to the NYPD, FBI and Team Adam NCMEC for her safe return," the rep continued. Since June 27, the 51-year-old actor has been posting on social media pleas to the public to help find his 16-year-old and get her home. On Thursday, Donal posted another tweet late, containing a photo of him and the teen as a child. He addresses Jade directly. "Jade, c'mon home, you sweet, beautiful, soul. We love and miss you dearly," the actor wrote. Meanwhile, the police department of Lancaster, Pennsylvania, said the National Center for Missing & Exploited Children reported a possible sighting of Jade in the area of Smiley's Deli in the city Thursday, according to Fox 43 News. According to the National Center for Missing and Exploited Children, the teen is also known as Arlo Logue and has been missing from Brooklyn, New York, since June 26. She was last seen wearing a green hoodie, blue jeans, a green military parka and a gray baseball cap. Logue's ex and Jade's mother Kasey Smith has also been posting pleas online. "Jade come home baby," she tweeted Thursday. "You are loved beyond words missed terribly. Come home." Several of Logue's fellow "Gotham" cast members, such as Ben McKenzie, his wife Morena Baccarin and JW Corts, as well as Fox, which airs the show, have also helped spread the message.